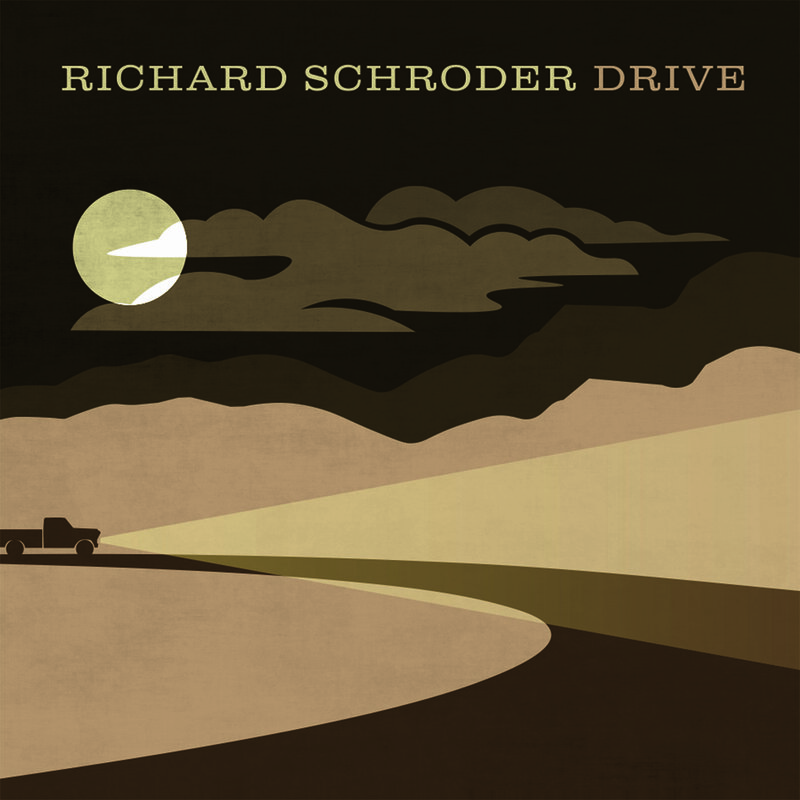 After the release of his groundbreaking single Drivin, singer and songwriter Richard Schroder returns with an eleven-track album aptly entitled Drive. Country music’s “diamond in a rough” took no shorts in cultivating the best sound for his latest release. As a lifetime musician, Schroder has always been in possession of the tools needed for success. Earlier in life, Schroder took a break from his musical aspirations to raise a family and develop a thriving business. After a long hiatus from the musical world, Schroder realized why many artists fail to become what they set out to accomplish. Yet, it is by our determination, our “drive” that we can make the world spin. This realization gave Schroder the ambition that he needed to be all that all he could be. Drive is an impressive effort by Schroder. His vocals and instrumentation are fabulous and remain consistent throughout the whole album. Alongside Schroder are a team of some of the finest musicians in the world, which includes guitarist Duke Levine, keyboardist Jamie Edwards, bassist Annie Hoffman, and drummer Steve Chaggaris, along with a few others. Together they are able to create an enthralling sound that truly makes Drive a musical force to be reckoned with. Stay is a really great song! It’s a bright tune that gives the listener a glimpse of Schroder as a rocker. I like the harmonies on this track. Stay is one of my album favorites. Nashville Girl begins with a real distinct bassline and some delightful banjo hints. Schroder’s vocals for this track are impeccable. The hook and lyrics are witty and delivered in a style that is quite memorable. Backseat Love really captures the band’s energy and Schroder’s range of subject matter. The drums and guitars grab the listener right from the start. The high-energy Right in The Middle follows next. Its soulful background vocals give this track a very dreamy feel. Once again we find Schroder’s vocals to be the work of a perfectionist. By the time the listener gets to the album’s sixth track, it becomes obvious that each song on this album could stand on its own as a single. Someone Else is a heartbreaker’s dream and an amazing acoustic gem with slight background instrumentation. like a talking wind in a garden, this offering is quite poetic. The genre-bending One and the Same is the first of its kind. As it crosses the boundaries of country music and experimental, this track gives the album an eclectic energy that is the fruitage of Schroder’s hard work in making Drive something special. Wildest Dreams is a phenomenal tune. With a hypnotic guitar lead, Schroder encourages us to never give up on our dreams. While the track’s theme is somewhat reflective, Wildest Dreams is a really fun song. This album covers some of the simple things in life that are never really discussed in song. Anytime Anywhere is about strengthening the bonds of friendship, something that we may sometimes take for granted at times. Pray For You expands on this theme from a supportive point of view that is full of soul. The final track on the album, Emily, is a tale about a woman who’s a little too old to be living the lifestyle she does. It’s a perfect to a perfect album and one Schroder’s best vocal performances on Drive. Drive is a masterpiece! This album sets a precedent in the world of music that can be appreciated by all fans of the art regardless of its genre. Richard Schroder has produced a perfect album, which I’m giving a rating of five out of five stars. Thank you for all your hard work! Will The National Anthem Become America’s New Crucifix?